Jaguar Land Rover will cut 10% of its workforce. This month’s Geneva auto show was notable for the absence of big-name automakers such as Ford, Hyundai, Opel, Jaguar Land Rover and Volvo, along with smaller brands such as PSA Group's DS Automobiles and BMW's Mini. All of them skipped a showcase that was once considered mandatory to attend. Their absence highlighted the big theme of 2019 and beyond for automakers in Europe and globally: cost-cutting. Even profitable companies are scrutinizing their bottom lines in all areas, including trade shows, as they prepare for headwinds of known and unknown strengths swirling around legislation, new technology and global trade. Automakers such as BMW, Daimler, Volkswagen, Porsche, Jaguar Land Rover, Ford, Renault-Nissan have all announced plans to save billions of dollars over the next few years as they prepare for a future that legislation demands should be electrified. BMW has said that it will step up its previously announced cost savings plan to help offset the impact of trade conflicts and unprecedented spending on electric cars. Ford said it plans to cut more than 5,000 jobs in Germany and will reduce its workforce in Britain as it seeks to return to profit in Europe while Volkswagen Group said it will shrink the workforce at its core VW passenger cars brand by up to 7,000 employees. 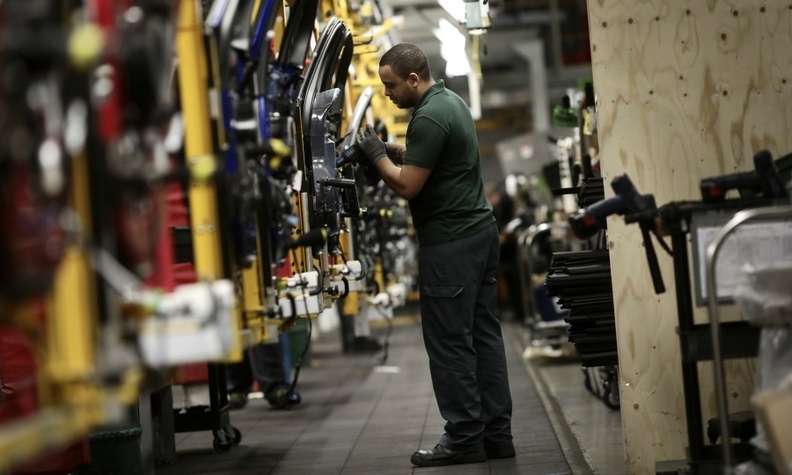 “We are facing multiple external geopolitical and regulatory disruptions and technological changes,” JLR CEO Ralf Speth told journalists at a briefing in January during which he announced 4,500 job cuts, which is 10 percent of the automaker’s workforce. “Just to name a few: Brexit, China, China-U.S. trade, CO2, diesel, diesel taxes, WLTP and I could go on. These serious challenges are coming in hordes in a manner we have seldom, if ever, witnessed in the past,” he said. So there will be more cost cutting. “In 2019, expect to see big programs announced with a focus on purchasing, commonality and platform efficiency, discretionary spending, marketing, travel and distribution costs,” analyst Max Warburton of Alliance Bernstein said in a note to investors in January. 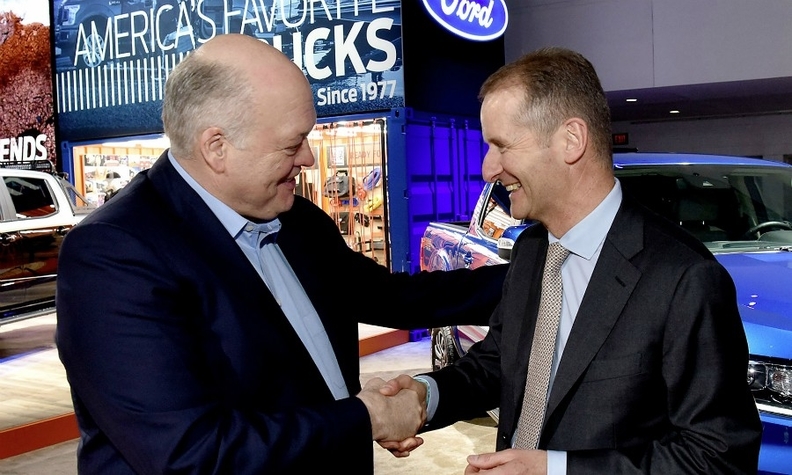 Ford CEO Jim Hackett (left) and VW Group CEO Herbert Diess each expect to save $500 million a year through their recently formed van and pickup collaboration, which could be extended to EVs and self-driving cars. The biggest expenditure to tackle is for materials. For example, Evercore ISI calculates that material costs swallow 77 percent of VW Group’s revenue, far ahead of labor costs at 18 percent. That puts the emphasis on suppliers. “Supplier cost savings will inevitably be a big part of these cost-reduction plans,” Bernstein’s Warburton wrote. Suppliers should be bracing themselves for demands for price reductions. “It’s certainly going to be a tough battle,” he said. This is how it will play out. Purchasing departments will rank parts by price and work downward, Warburton said. “Suppliers that specialize in selling items with high values are therefore at greatest risk of price-downs. While low-cost components generally escape the cost-cutting ax,” he wrote. Reducing complexity is another goal automakers are increasingly aiming for in the battle against rising costs. For example restricting customer options to bundled packages. VW brand Chief Operating Officer Ralf Brandstätter cited the Golf as an example in an interview last November. “In 2018 [so far] we have sold about 84,000 Golfs in Germany of which more than 58,000 had a different configuration. Fewer than 400 models were identical,” he said. By bundling options and increasing the number of identical models, you need less logistics space, optimize your supply chain and reduce lead times, he said. Under the VW brand’s Future Pact, the company targets 3 billion euros in cost cuts in the four years to 2020. Volvo is another one reducing complexity. 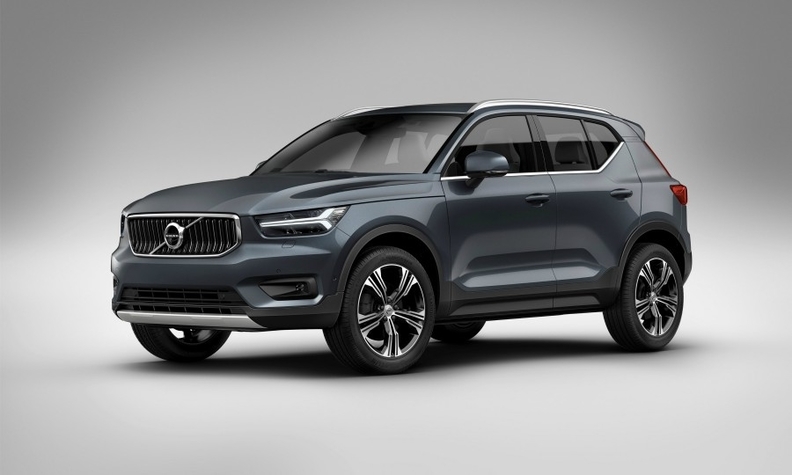 “The XC40 [compact SUV] is essentially a one-spec, high-price car,” Lex Kerssemakers, head of Volvo in Europe, told journalists in January. “We don’t want to go back to the days of Henry Ford and say, ‘The only color is black.’ But I think we are at a turning point. People don’t buy complexity any more. It also brings our cost down.” Volvo is planning to further reduce options later this year. Along with PSA, Volvo has become a role model for cost-cutting in Europe. It was almost a happy accident, Kerssemakers said. “Circumstance forced us to reinvent ourselves when the Ford era ended [in 2010 when Ford sold the company to Zhejiang Geely Holding],” he said. “Geely did not come in with a bag of gold. We had to finance it [Volvo’s revival]. And when you are poor you become very inventive,” he said. When it created its Compact Modular Architecture (CMA) it saved by co-developing the platform with sibling brand Geely Automotive. Volvo also made sure there was plenty of carryover from its larger Scalable Product Architecture (SPA). “With one engine bay, one firewall layout and the same engine family, you start to be extremely efficient,” Kerssemakers said. Platform and engine reduction is trending across all automakers. It was a key part of Opel’s surprise return to a half-year profit last year, CEO Michael Lohscheller told Automotive News Europe. Under PSA ownership, Opel will shift from nine platforms and 10 powertrain families to just two platforms and four engine families. A key engine is PSA’s 1.2-liter turbo gasoline unit, the so-called Puretech EB. This global engine is currently made in France, China and Poland and will be produced in Hungary, Morocco and India. To save costs, Volvo co-developed the XC40’s platform with sister brand Geely. Automakers should go further and pool resources on engine development, Evercore ISI’s Ellinghorst said. “With the exception of certain sports cars, full-size pickups and larger premium offerings, we believe that the powertrain is of diminishing interest to the vast majority of consumers,” he said. Continuing to invest in combustion engines on a stand-alone basis is a “flagrant waste of capital,” Ellinghorst said. By treating engines as a commodity and buying from suppliers, the industry could save $30 billion a year from scale savings, Evercore ISI predicted. VW Group already has engine scale via its wide range of brands, and others are collaborating. For example, Renault and Nissan developed their new 1.3-liter turbo gasoline engine with Daimler. The unit will be produced in Valladolid, Spain; Sunderland, England; Kölleda, Germany; and China. PSA, meanwhile, is happy to share its engines. “We have a long track record of cooperation and we are always ready to sell our engines to competitors,” Gilles Le Borgne, PSA’s director of quality and engineering, said in a call to journalists in January. The cooperation news that has made most waves this year was generated by Ford and VW, which announced that they were going to build vans for each other. First up will be a Ford-built replacement for both its Ranger pickup and VW’s Amarok pickup, starting in 2020. A year later Ford will build VW a midsize van alongside its Transit Custom, likely at Ford’s plant in Turkey, while VW will build the partners a smaller van, likely in Poland. Ford’s savings are estimated to reach $500 million a year, while VW hinted it would stand to gain by a similar amount. VW Group CEO Herbert Diess said the joint development would be worth the effort from both sides: “It’s mitigation against potential cost increases because of the new drivetrains we need for the electrification in this segment and also the CO2 penalties we are facing,” he said. Ford’s cost-cutting in Europe is being done to overcome persistent losses in the region. Ford has said it will focus its European product range on vehicles that make money. Those vehicles are its successful van ranges and select SUVs. So far in Europe Ford has yet to commit to the same radical step it has taken in the U.S., where it will exit the passenger-car market to focus on SUVs, trucks and commercial vans. Managing labor costs is another headache, particularly for companies with long-standing ties to high-cost countries such as Germany, the UK and France. Job cuts are an integral part, especially among white-collar workers as manufacturers tout “leaner, flatter” management structures. For JLR, its job cuts “will accelerate the decision-making processes,” helping to save costs, CEO Speth said. Ford of Europe’s job cuts will similarly improve the “agility” of the organization, the automaker said. Volkswagen wants to cut jobs in its high-wage German factories but it must also save as many jobs as possible as the shift to electric cars disrupts employment patterns to appease its powerful labor union.. For example, at its future electric-car manufacturing hub in Zwickau, it is reversing the trend of outsourcing parts production and bringing in more stamping work, for example for the hood, fenders and doors, to ensure that the plant’s 7,700 workers could be retained. Seemingly off the table, however, are plant closures. Although there are some factories that are dangerously close to being shut, particularly in the UK, where Brexit threatens any remaining competitiveness offered by some of the weaker plants. The facilities most at risk are JLR’s plant in Castle Bromwich and PSA’s Vauxhall plant in Ellesmere Port. PSA, however, has introduced efficiencies at the problematic plants it inherited when it bought Opel/Vauxhall from General Motors. The success PSA has enjoyed at those factories is part of the reason it is regarded as the cost-cutter to emulate.